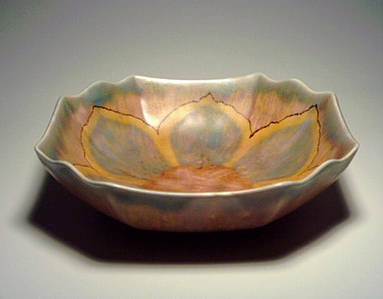 Description: Hand painted bowl with a California look. 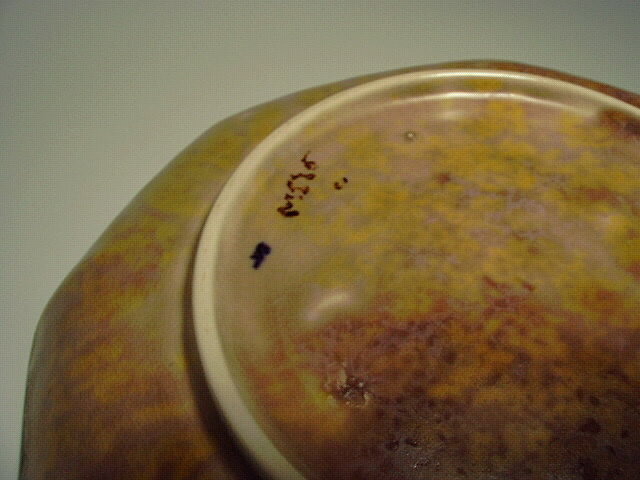 Matte Glaze. 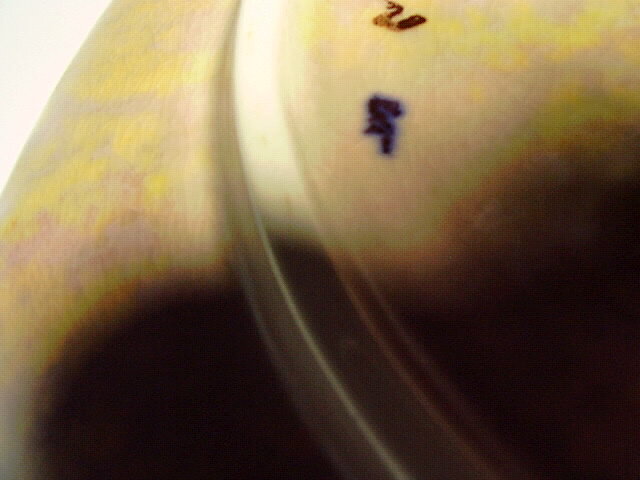 Marked on bottom (see pic 2 and 3). 12 inches corner to corner.